Have you started dating someone new? Are you looking for new people to join your company? Whatever the circumstances, how can you be sure that you can trust the person in question? With this in mind, it may be worth running a background check to get peace of mind. Hiring new employees is expensive. In fact, research suggests that the average cost per hire in the US is more than $4,100. While you may be happy to spend this money employing the right person, what if you get it wrong? That’s right, you could waste thousands of dollars. Conducting a background check on a potential employee will give you all the information you need to hire the right person the first time around. You should also ask them to complete a drug test. This is especially true if the job involves driving or handling heavy machinery. If you’re looking for new people to join your team, the likelihood is you’re looking at dozens of resumes every day. With this in mind, it can be difficult to remember which ones stand out. Not only this, you have to check that the candidates with the most outstanding qualifications and experience are telling the truth. 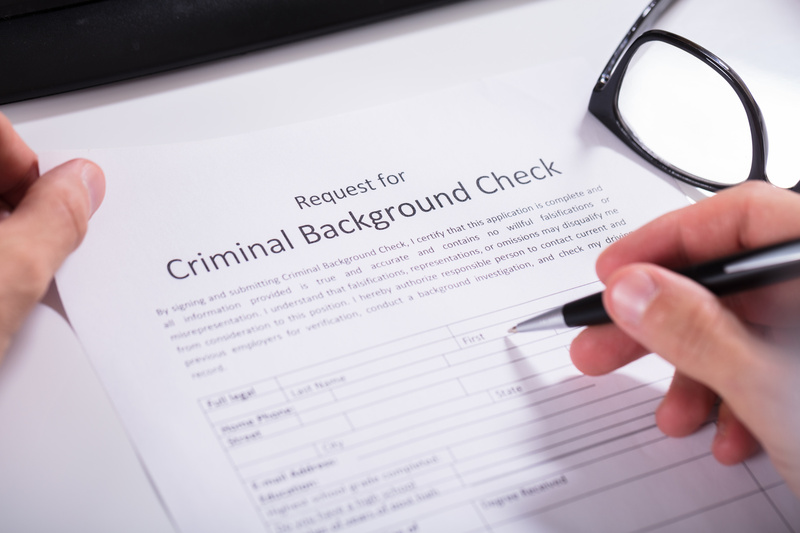 A background check can help you verify that the information applicants give you is accurate. As an employer, it’s your responsibility to ensure that your employees have a safe work environment. Aside from making sure the building and facilities are safe, you should vet new employees to ensure they’re not a threat to others. When hiring new team members, check their background for violent behavior and criminal activity. You should also check all the necessary certifications and credentials are up-to-date. If they’re not, you could end up with a negligence suit on your shoulders. Additionally, background checks are important for the safety of your company as a whole. Employee theft is costing US businesses $50 billion every year. Vetting employees will allow you to find out if they’re involved in any fraudulent or suspicious activities. A background check allows you to gain insight into a person’s character. Whether you’re hiring something new or have met someone you’d like to date, this information can help you make a decision. An investigator will get references from past employers. They’ll also have a look at a person’s social media profiles to learn more about their passions, habits, and any unusual behavior. Whatever the circumstances, checking a person’s background can help you make the right decision, be it for a personal or professional relationship. But, it’s hard to run a background check without the right tools and experience. With this in mind, why not get in touch with Lawrence Ryan Investigations, Inc. today? With the use of our resources and the latest technology, we can help you run a background check no matter where you are in the US.